Kano Tessai was born in Gifu prefecture. At an early age he was sent to study painting and calligraphy at several Buddhist temples. Upon the Meiji restoration in 1868, Tessai decided to leave the priesthood and devote his life to studying famous artifacts in the temple collections throughout Japan and the techniques used in their making. In 1887 Tessai was appointed professor in the Department of Sculpture of the newly established Tokyo Art School, but he resigned shortly thereafter to return to his life as an artist. 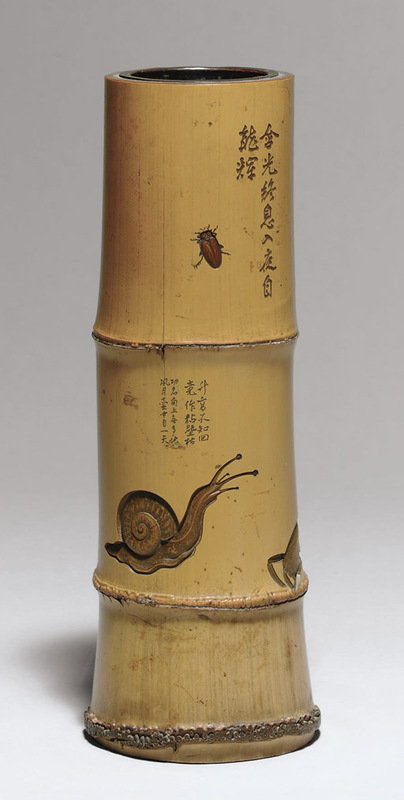 Tessai's principal works included netsuke, pipecases, models of religious artifacts and accessories for tea gatherings.